What are you waiting for? This villa is simply delightful! Owner put lots of thought into every detail of this home! 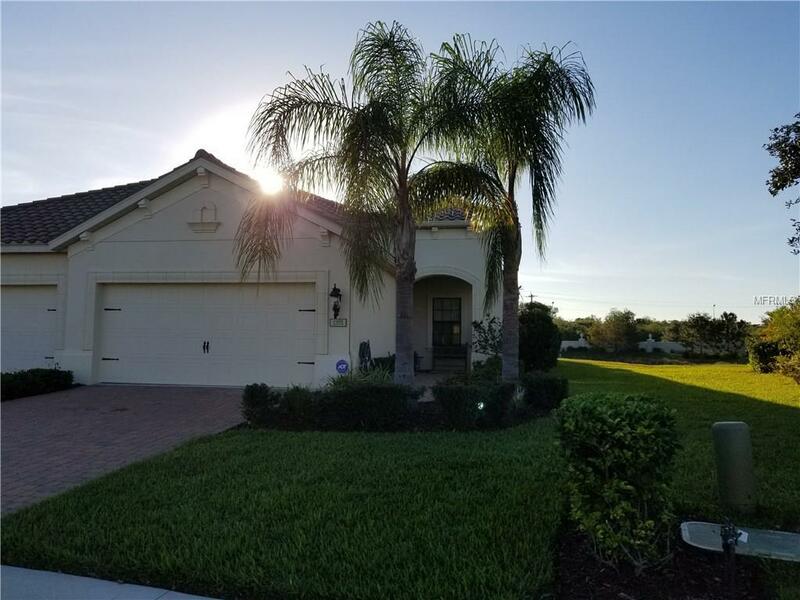 From the tray ceilings to the window & floor coverings, crown moldings, light fixtures, counter tops and cabinets!This home offers a rare opportunity to own in an established community just 4 miles from Manasota Beach! Not your typical Villa! Ample doors and windows let in natural light for a bright and airy experience. You'll love the exceptionally open kitchen overlooking the great room. The villa features luxurious granite counter tops, GE stainless appliances, cabinetry with crown molding, and tile flooring in the main living areas. Two sinks are featured in the spa-like master bath with a walk-in shower. Sliding glass doors let the outdoors in, maximizing your private lake view from the over sized covered lanai. Rolled barrel tile roof and paver driveway complement the exterior design. Lawn maintenance is included affording you time to enjoy the Country Club lifestyle! HOA dues include a social membership to the Boca Royale Golf and Country Club. Members are offered two newly renovated dining venues, social opportunities, a newer fitness center, tennis courts, 18-hole golf course, and manned gated security. Furnishings are negotiable by separate negotiation between Buyer & Seller. Amenities Additional Fees Hoa Fees include Social Membership Which Gives You Access To The Clubhouse Community Pool & Spa. Fitness Golf & Tennis Are Available For An Extra Fee.